Always a source of outlandish, theatrical videos, Canadian kook Sean Nicholas Savage has released a clip for his song "Suburban Nights." 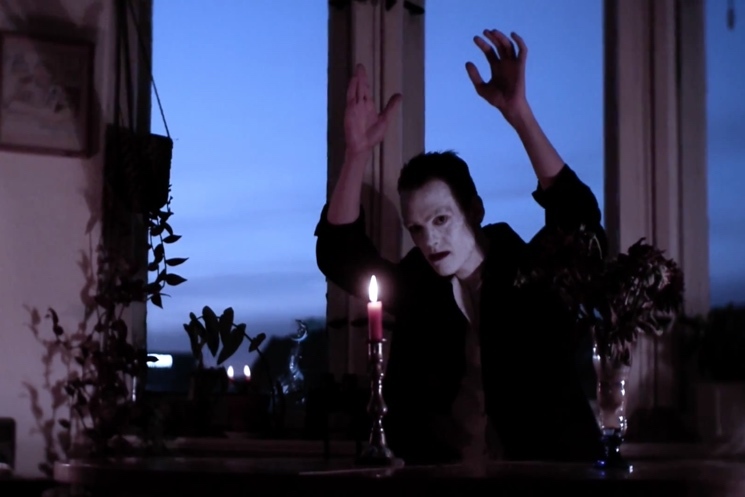 This mellow, lounge-friendly pop tune from this year's Other Death serves as the dreamy soundtrack for peculiar footage of Savage lurking around and eyeballing the camera while looking a bit like a mime thanks to his white face paint. We also see clouds and dramatic mountain vistas, and a few enigmatic messages about life pop up on the screen. The clip was self-directed in Berlin. Scroll past Savage's European tour schedule to watch it below.